The annual report on state-level corruption by Transparency International contains few surprises for the Asean region. While Southeast Asia is known as one of the world’s fastest-growing economic regions, home to booming metropolises like Bangkok, Ho Chi Minh City and Kuala Lumpur, it also hosts some of the planet’s most vital ecological areas. A grenade attack on a mosque in the southern Philippines’s island of Mindanao killed two people and wounded four on Wednesday, just days after twin explosions at a Catholic cathedral in neighboring Sulu province on Sunday that claimed 21 lives, AFP reported Wednesday. Migrant workers in ASEAN need protection that is stronger than bilateral agreements between member countries because such arrangements are informal and too weak to protect workers’ rights. Malaysia was ranked top five globally and highest in Southeast Asia for mobile social media penetration, according to Hootsuite and We Are Social in their latest Digital 2019 report. Companies are more optimistic about the business climate in ASEAN than the global climate, says a survey by the Singapore Business Federation. 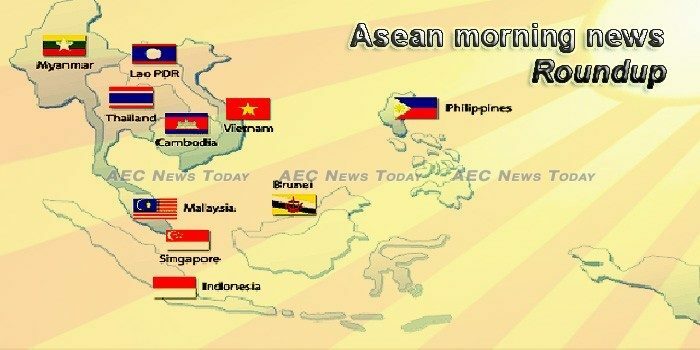 As Singapore hands over its ASEAN chairmanship to Thailand, experts are calling on member states to maintain their commitment to cybersecurity by establishing norms and focusing on capacity building amid a rise in online attacks targeting the region. The future of regionalism in the larger Indo-Pacific continues to be uncertain. Southeast Asia displays unbridled enthusiasm for tech talent, as evidenced by the double-digit annual growth in hiring activity displayed by all three countries during December. Vicki Cham stands at the front of a large multi-purpose room at Fresno Interdenominational Refugee Ministries, or FIRM. A public toilet in Mandalay Region and another at a shopping mall in the administrative capital, Nay Pyi Taw, have won the ASEAN Public Toilet Award. Spokesmen for the Ministry of National Defense and the Cambodian People’s Party (CPP) together rejected a statement of the US Intelligence Community for accusing the Cambodian legislature, under the leadership of CPP, of paving way towards constitutional amendment to allow foreign military base on the kingdom’s soil. Cambodia collected more than US$2,197 million from taxes in 2018, according to Director General of the General Department of Taxation of the Ministry of Economy and Finance H.E. Kong Vibol. The Health Ministry has recorded a sudden spike in dengue fever cases in the last four weeks, with the death toll rising to 132 by Jan. 29. West Java Governor Ridwan Kamil has said the province needs Rp 1.2 quadrillion (US$85.10) to improve infrastructure during his five-year term. Indonesian insurance rules that come into effect on Feb. 1 are causing huge coal supply backlogs, with dozens of ships held up outside ports unable to load as authorities start checking to see if vessels are in compliance with the new policy. Lao local tourism-related businesses should make adjustments for more Chinese tourists that Lao government expects to visit this year, the local daily Vientiane Times on Monday quoted Lao Vice President of National Chamber of Commerce and Industry Daovone Phachanthavong as saying. The government of Japan has provided grant assistance worth over 217,000 US dollars for supporting the project dedicated to empower people with disabilities in the Lao PDR. The legal tussle between AirAsia Group Bhd and Malaysia Airports Holdings Bhd (MAHB) continues to intensify with AirAsia filing another suit claiming nearly RM480 million for losses incurred from operating at klia2. In terms of mobile social media penetration, Malaysia is ranked among the top five in the world and the highest in Southeast Asia, according to the latest Digital 2019 report by Hootsuite and We Are Social. Malaysia’s exports expanded 4.8% year-on-year (y-o-y) to RM83.27 billion in December on higher demand for its electrical and electric (E&E) products, chemicals and chemical products and machinery, equipment and parts. Myanmar will be constructing a road that connects Dawei Special Economic Zone (SEZ) and the border area with Thailand, says Dr Than Myint, Commerce Minister and Chairman of the Task Force on SEZ construction. Amid a turbulent year of high-profile corruption scandals, Myanmar saw its grade in Transparency International’s annual Corruption Perceptions Index drop by a point in 2018, though downward momentum from other countries meant it actually inched up in the overall ranking. Both money supply and bank loans sustained their expansion last year amid strong demand for credit, data from the Bangko Sentral ng Pilipinas show. TO break the impasse on the proposed P3.757-trillion General Appropriations Act of 2019, the Senate and the House of Representatives have agreed to increase the cap of lawmakers’ fund “re-prioritization” to P200 billion from P50 billion. Inflation in January likely settled at a range of 4.3 to 5.1 percent, with fuel costs driving prices higher, the Bangko Sentral ng Pilipinas’ think tank said Thursday. New measures are in the works to improve insurance coverage for employees and give those injured on the job greater assurance of compensation – and much sooner after an accident. The labour market improved in 2018, with employment of locals growing over the year, said the Ministry of Manpower (MOM) on Thursday (Jan 31). THE fiscal balance for FY2019 is projected to register a deficit of S$2.5 billion, down from an expected surplus of S$3.3 billion in the previous financial year, according to the final report in a three-part series by DBS. Vietnam imported completely-built automobiles and components for assembly totaling 598 million U.S. dollars in January, recording a year-on-year surge of 118.9 percent, according to its Ministry of Industry and Trade on Thursday. Vietnam gained nearly 2.7 billion U.S. dollars from exporting garments and textiles in January, posting a year-on-year increase of 6.7 percent, the Vietnam Textile and Apparel Association said on Thursday.